Bonjour lecteurs! 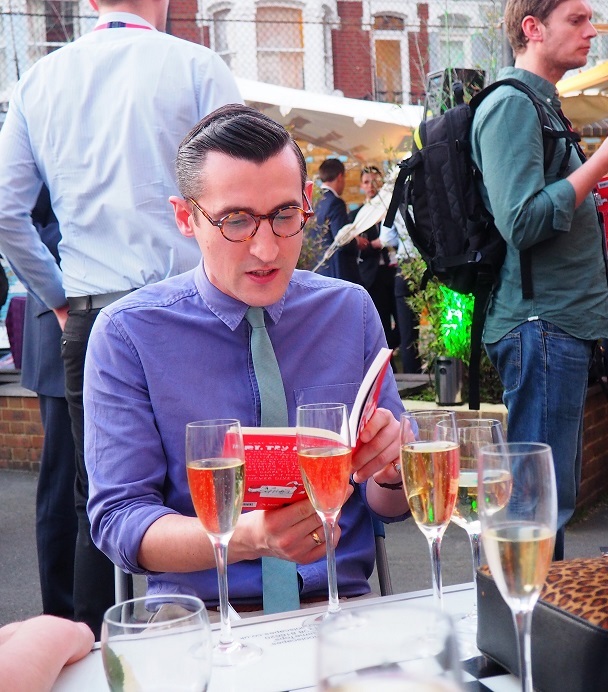 I was lucky to go to a fab event in a primary school in London last month. 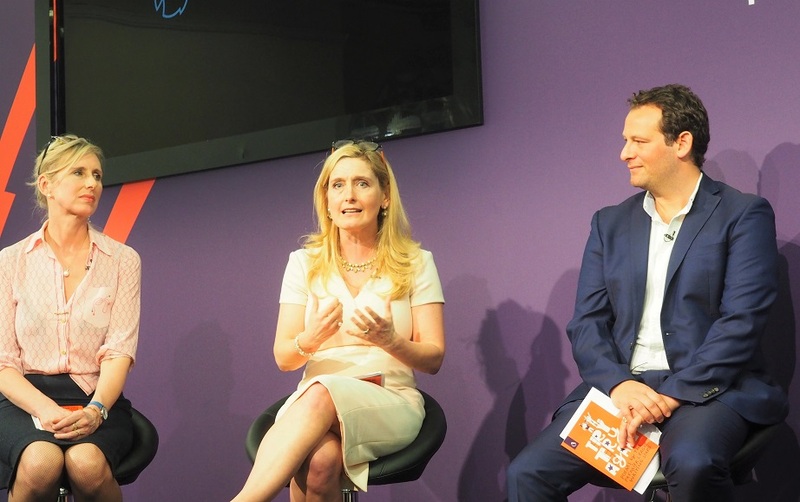 While attending the Premier League Primary Stars – One Year On Event, I discovered more about this fabulous educational programme which aims to inspire young people to learn and develop important skills. Have you heard of it? 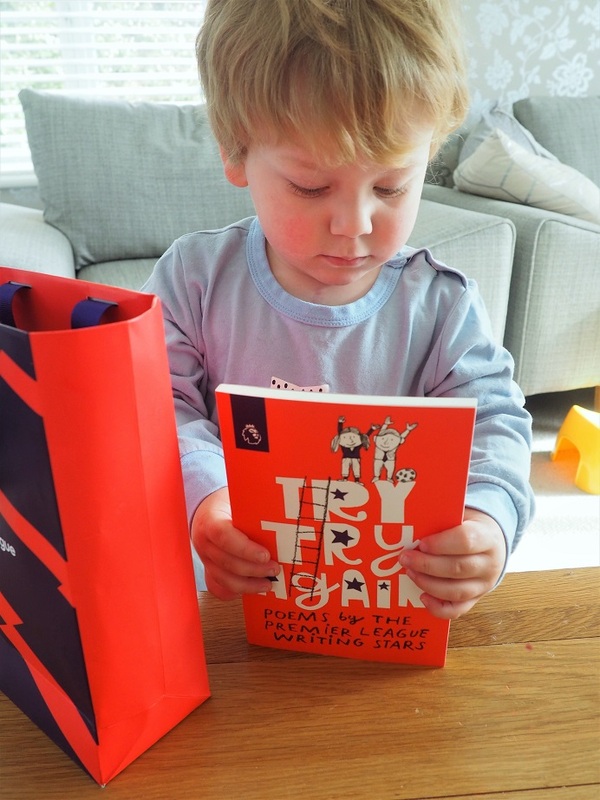 Have your little ones taken part with their école? Premier League Primary Stars, c’est quoi? 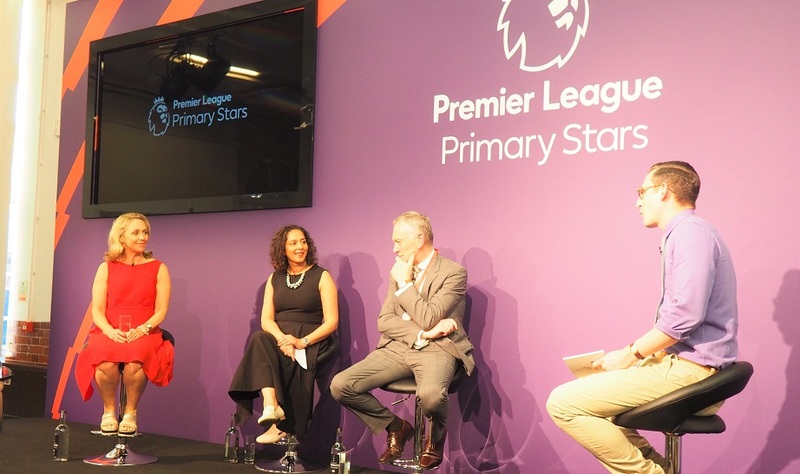 Premier League Primary Stars is the Premier League’s most ambitious community programme to date and engages with more than 15 000 primary schools across England and Wales. It’s a very engaging programme which inspires children to learn and be active while learning very important skills such as resilience. It contains two parts: the in-school support with professional football clubs as well as free teaching resources created to support teachers. A full range of projects is currently taking place across the country. I wish I had some of those footballers teaching me maths! Before attending the event, I had heard about this project taking place. However, I had no idea how much of an impact it had been having in a year. Like many, I imagined this program was all about sport and nothing else. But it is way more than that. 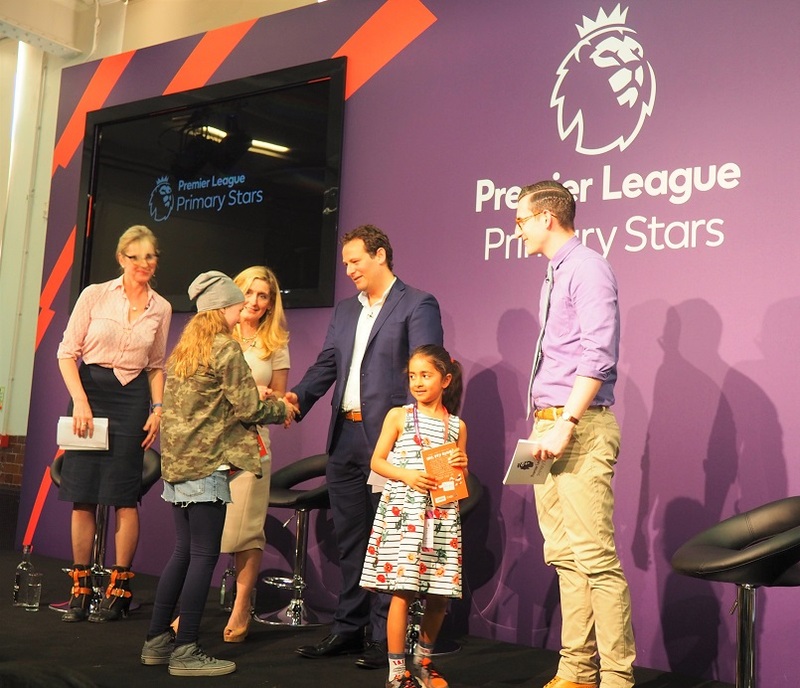 After having listened to Cressida Cowell, Lauren Child and Ben Shires as well as many other guests, I realised that the Premier League Primary Stars is a programme that is fully inclusive. It is not all about children who like le sport. It is way more than this! It’s a sustainable model with great results. It encourages kids to acquire some knowledge and become active learners. All the guests involved were so passionate about this project! It’s so aspirational. It was clear that all people involved, famous or not were in it with a real desire to support literacy and so much more! Imagine having a maths lesson with Wayne Rooney! And we got to hear some of the poems written by children all over the country. With cupcakes! Durin the event, we saw an example of success the programme has had. This little boy called Gethyn was not the type to enjoy writing. He admitted that he was totally disengaged with his learning. But as his school took part in the project and he was asked to write a football match report, he got started. His enjoyment was so evident in the video I watched!! As a teacher myself, I relate so much to this kind of situation and knowing that you can have such support (with results!) is amazing! Premier League Primary Stars is a huge success so far and support both teachers and parents! It was so fabulous to see so much energy and pride in Gethyn’s example. 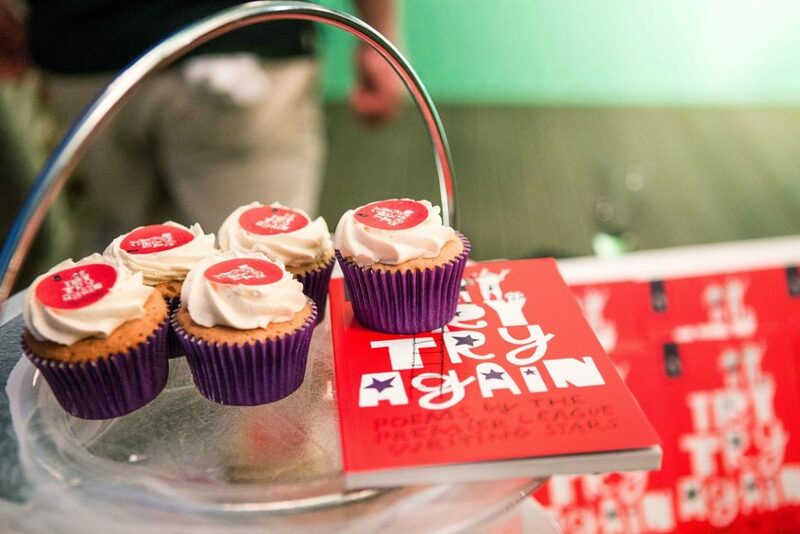 The evening with CBBC presenter Ben Shires was also the occasion to launch ‘Try Try Again‘, a book of poems penned by the Writing Stars Competition. Indeed, the programme launched the Premier League Writing Stars competition as part of its literacy project. The concept was simple. It challenged children aged between 5 and 11 years old to write a poem about resilience. It was another huge success with over 25000 entries! It must have been very difficile for the judging panel (including Children’s Laureate Lauren Child) to select the winners! The two winners wrote some AMAZING poems! No need to say that I was totally amazed by Premier League Primary Stars. Premier League Primary Stars – A Success! In a year, the project obviously did more than visiting over 15000 schools across England and Wales. It reached children where the educational system failed. It touched people but it also made some children happy and confident again. Premier League Primary Stars aussi supported teachers and helped students to communicate better. The programme has been fully inclusive so that it reached as many children as possible. As a teacher, I am sometimes suspicious of such schemes that promise so many great results. We are experiencing so much pressure in our job, we can sometimes become a bit reluctant when we hear such projects. But I was personally touched while attending the Premier League Primary Stars One Year On Event. I saw some great passion and pride for the kids involved. Plus it’s aspirational for them too. The Premier League Is Getting Bigger! The programme also offers activities and an interactive digital game for parents to use at home. You can read more about it on the Premier League Primary Stars’ website and have a go at some resources available. 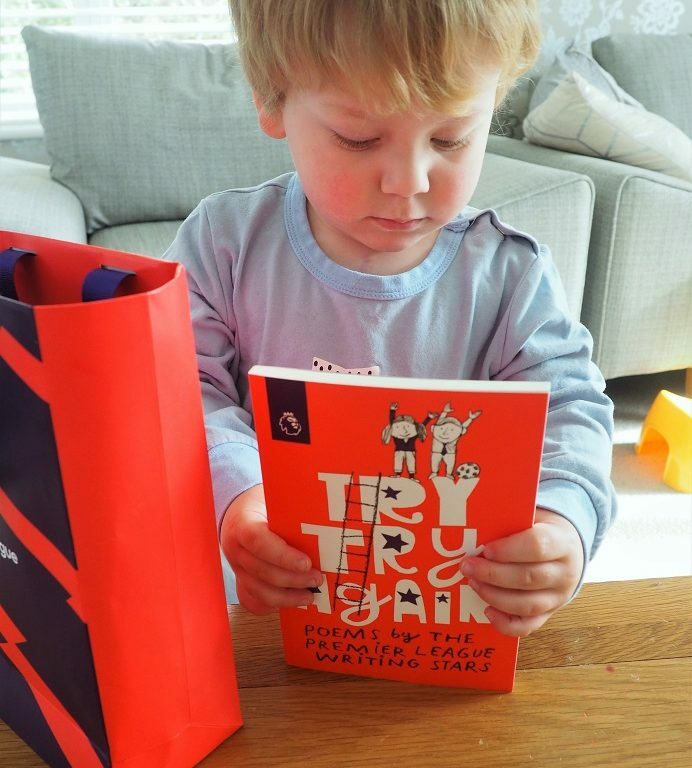 Ben was kind enough to give us a private reading of the book! Maths, English and PE… have a go! A mum but also a teacher is telling you that it is a great idée! 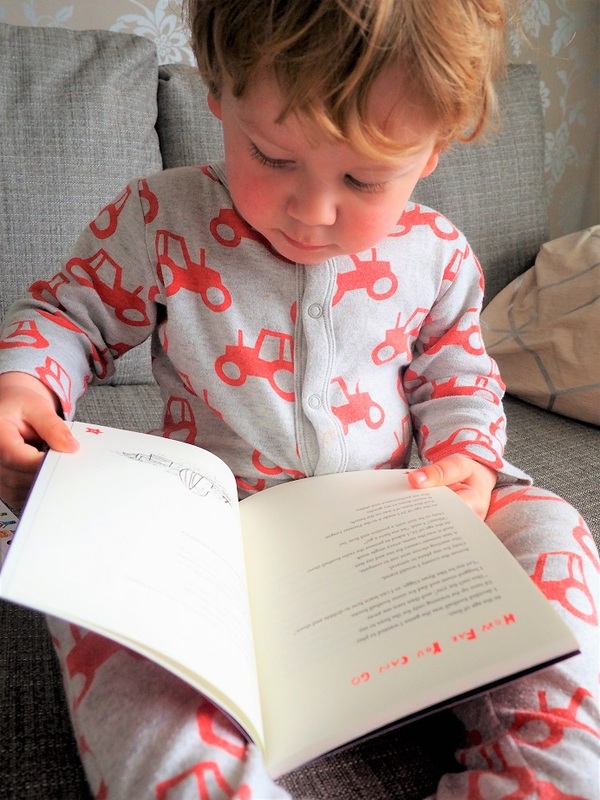 Baba really liked some of the poems too. It is never too early! Disclosure: This is a collaborative post with Premier League Primary Stars. I was invited to this event but all opinions remain my own. This project sounds fantastic. I think a lot of schools focus purely on academic results and working to the strict structures that the curriculum set which can mean so many children get left behind. It’s great to see them being inspired and learning through subjects they love. What a fabulous campaign. It is so good to see the footballers giving something back to the school kids. They are so worshiped they can make a huge difference to the education. Resilience is such an important skill that kids need to develop but I see far too many just not able to process things to deal with it. This program looks like a fabulous idea to get kids involved. Such a brilliant campaign – really worthwhile and positive. Love how it had done so well. What a great initiative! I wonder if we have something similar in Scotland. This sounds like a great campaign across schools to get children active and learning, I think it’s such an important topic and I’m glad it’s being met head-on with something like this. That sounds like a great event. I definitely think that if you find something a child is passionate about they will learn so much easier. My son would have loved to write football reports at school ? This sounds fabulous not heard about it before. wonderful campaign, I have not heard about this before, very impressive. Oh wow this is super! What a brilliant idea, I am hoping something like this will come along to Scotland, Great! This sounds like a great campaign (I have never heard of it before) that is bound to appeal to lots of kids! This looks like such a great initiative with proven successes. I’m glad it’s growing! Great campaign, only wish that our boys could be involved. 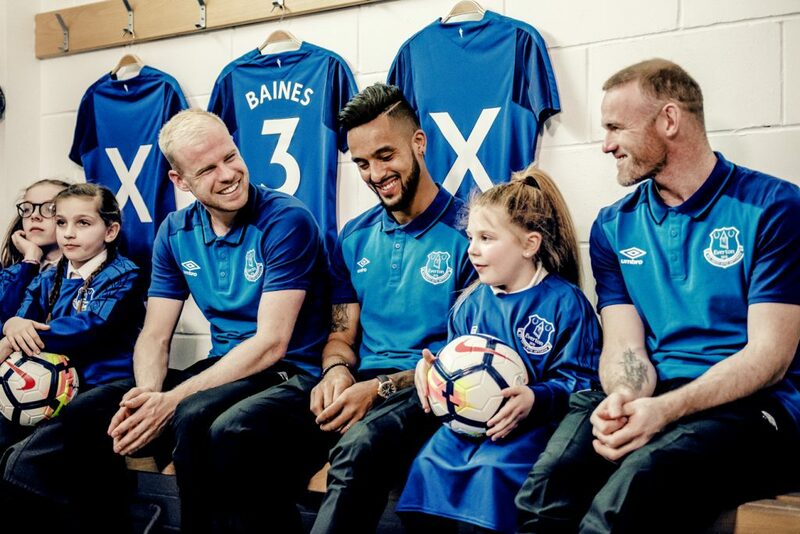 What a super campaign and it is good that the children’s football heroes are getting involved. Initiatives such as these are an excellent way to produce results in children that may otherwise not achieve them. Even the name is inspiring! It’s great to hear that footballers can make a real difference in education.